Ohio Gov. John Kasich says congressional Republicans probably won't be able to repeal and replace Obamacare without Democratic votes to "get this thing right." 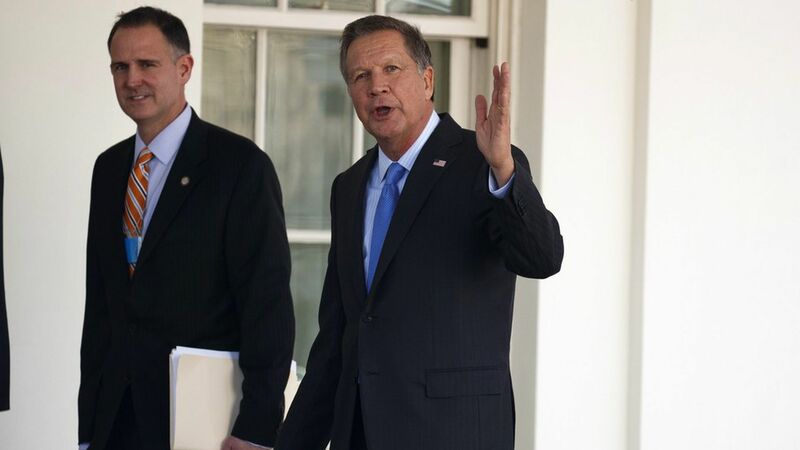 On CBS's Face the Nation this morning, Kasich, a former congressman, said former House Speaker John Boehner was "pretty close" in his prediction last week that the "framework" of Obamacare will survive — because House Republicans will have to manuever around their most conservative members, who will just want to repeal the law and not replace it. "That's not acceptable when you have 20 million people, or 700,000 people in my state" who have gained coverage, Kasich said. "The Republicans can go and do what they want, and I'm going to talk to them. But at the end of the day, I'm going to stand up for the people that wouldn't have the coverage if they don't get this thing right." He said President Trump "responded very positively" to his ideas on how to make Medicaid work better. Kasich also warned Democrats to stop what he called "fifth-grade" stuff and help Republicans pass a workable replacement: "What's at stake is not some political thing. What's at stake here are 20 million Americans."